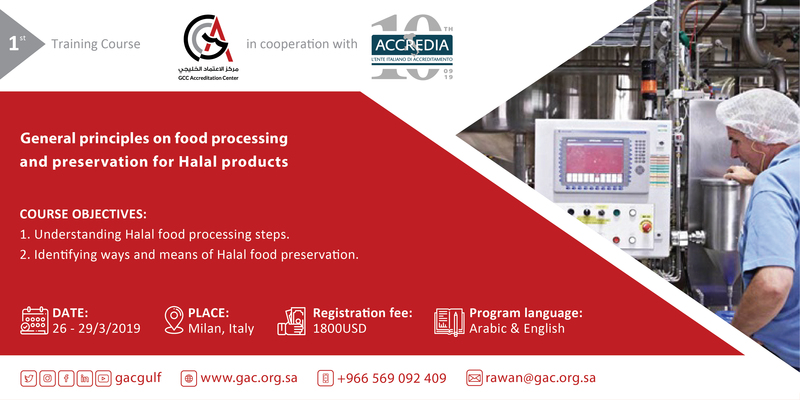 GAC, the GCC Accreditation Center organizes 3 training courses on Halal products, in cooperation with Accredia. 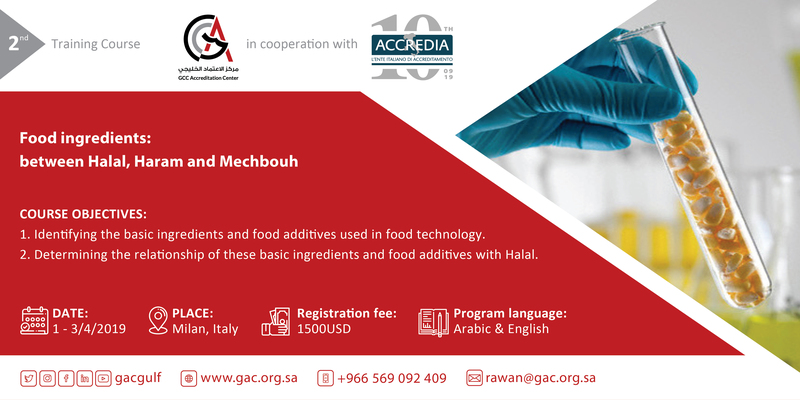 GAC, the GCC Accreditation Center organizes 3 training courses on Halal products. A registration fee is required and is managed by GAC, the institution that provides the courses. 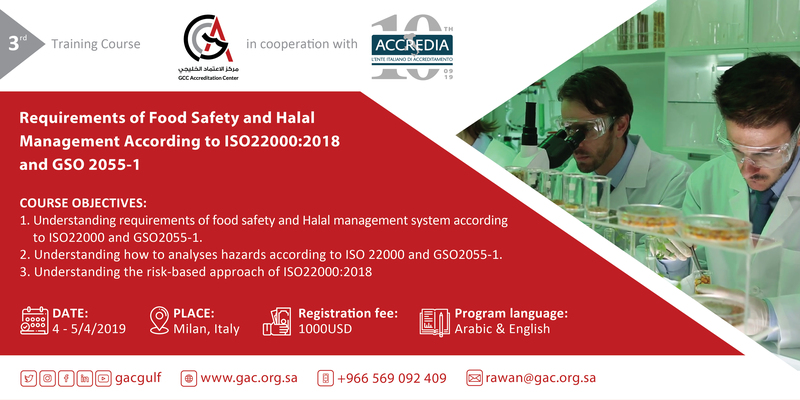 The courses will be held both in English and in Arabic. See the attachments below for the detailed programs.